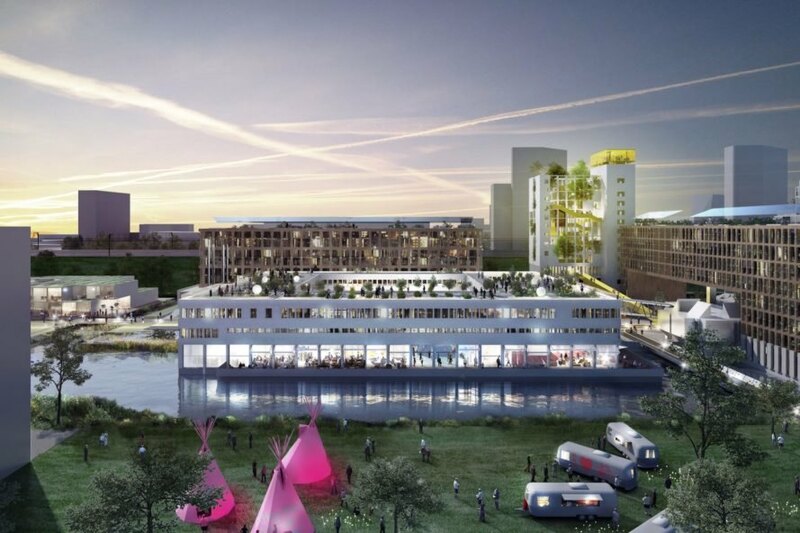 A brighter, solar-powered future is coming to Bijlmerbajes, a former prison complex in Amsterdam. 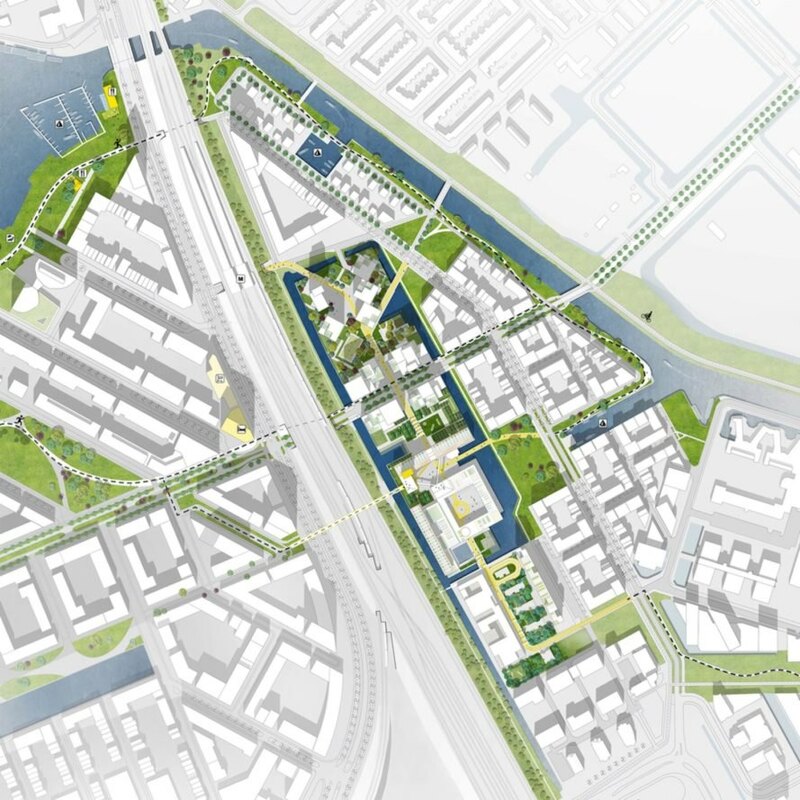 The Dutch government tapped OMA to design a masterplan of the 7.5-hectare site, as well as a significant portion of the 135,000-square-meter mixed-use development. 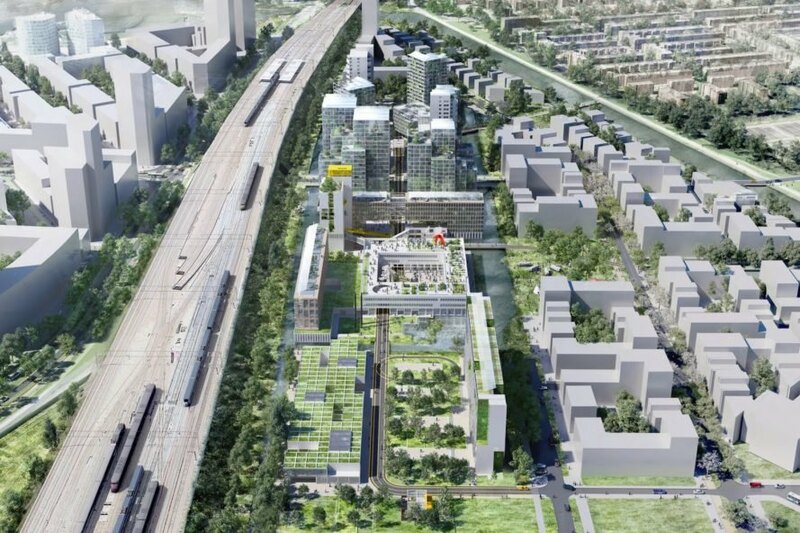 Designed in collaboration with FABRICations architects and LOLA Landscape, the new masterplan will transform the prison complex’s iconic six towers into Bajes Kwartier, an energy-neutral development powered by renewable energy and built largely from recycled materials. Built in the 1970s near the Amsterdam Amstel railways station, the Bijlmerbajes prison complex is a well-known urban landmark that permanently closed in June 2016. The former prison’s six linked towers and administrative building are located in the geographic center of Amsterdam’s new urban development, making it ripe for rebirth as a vibrant civic and cultural space. The new 7.5-hectare Bajes Kwartier development will conceptually preserve Bijlmerbajes’ “island character” and reuse building materials. Prefab elements from the existing walls will be recycled as cladding for the new residential buildings, while prison bars will be recycled into balustrades, and cell doors reused as edge panels for pedestrian bridges. Bajes Kwartier will become a mostly car-free environment and focus on elevating the pedestrian and cyclist experience. 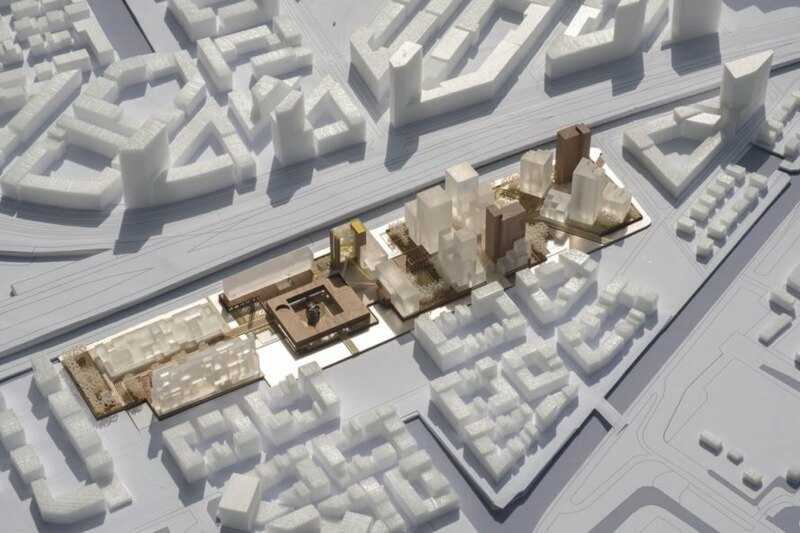 The masterplan includes approximately 1,350 residential units that include rentals and luxury condominiums, with 30 percent set aside for affordable housing. 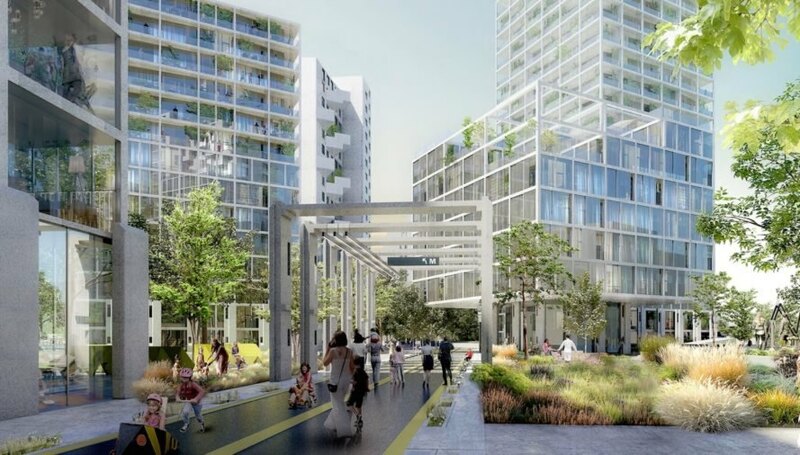 All but one of the prison towers will be demolished and the remaining building will be transformed into a “green tower” with a vertical park and urban farming. The centrally located administrative building will be turned into an arts and design center. The mixed-use development will also comprise a restaurant, health center, school, parks, water features, and underground parking lot. All the new buildings will be energy-neutral thanks to superior insulation and energy saving design, as well as hookups to solar power, wind power, and biomass power. Nearly 100 percent of the existing building material will be reused or recycled. The project is scheduled to begin in early 2018. The new 7.5-hectare Bajes Kwartier development will conceptually preserve Bijlmerbajes’ “island character” and reuse building materials. Prefab elements from the existing walls will be recycled as cladding for the new residential buildings, while prison bars will be recycled into balustrades, and cell doors reused as edge panels for pedestrian bridges. Bajes Kwartier will become a mostly car-free environment and focus on elevating the pedestrian and cyclist experience. The masterplan includes approximately 1,350 residential units that include rentals and luxury condominiums, with 30 percent set aside for affordable housing. 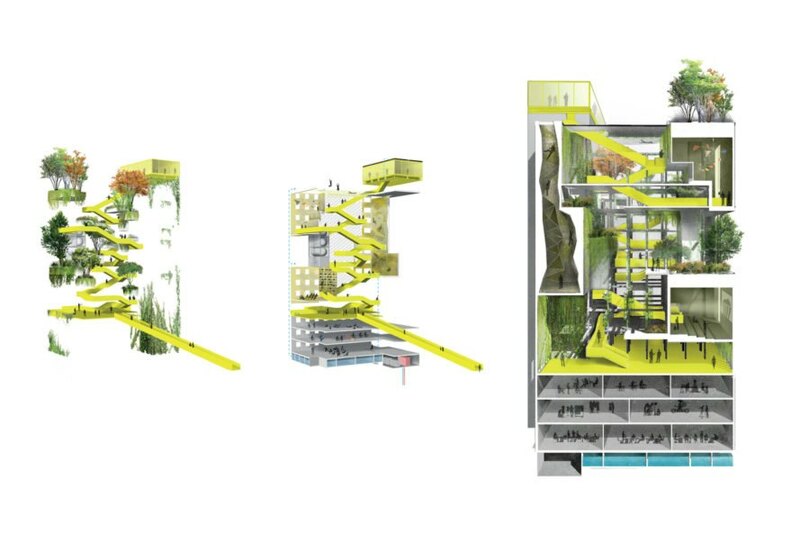 All but one of the prison towers will be demolished and the remaining building will be transformed into a “green tower” with a vertical park and urban farming.